Are you wondering what separates Hosted Virtual Desktop from traditional workstations, or what distinguishes our offering? Than, you have come to the right place. Since virtual desktop hosting can be used by all sorts of users, companies, and industries there are all sorts of different features. For examples, if nobody works remotely in your company – than the mobility features won’t be very interesting to you. However, you may be more interested in the ability to lock down content filtering/web filtering and how Hosted Virtual Desktops make that easy. Application Features will cover all of the different nuances and components of how printing, scanning, and application performance are managed via Hosted Virtual Desktops. Performance Features including application performance but also covering things like how does bandwidth impact the performance and the ways that Ongoing Operations manages the infrastructure to deliver good performance. Security Features will cover all of the parts and pieces of how Hosted Virtual Desktops are more secure and how you can take advantage of multi-factor authentication and perimeter defenses. Cost or Expense features discusses how the billing platform works and the ability to almost perfectly align your IT expenses to you staffing. Mobility Features outlines all of the different methods, tools, places and opportunities to use hosted virtual desktop if you have a mobile device and an internet connection. Support will cover how your users will be supported and taken care of if you leverage hosted virtual desktops as part of your company. Each of these main topics all have a bevy of sub topics that you will find interesting, and invaluable when making the case for Hosted Virtual Desktop to your management team. Stay Tuned! Who is Hosted Virtual Desktop Bad For? 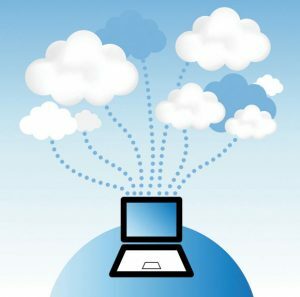 Who is Hosted Virtual Desktop Good For?